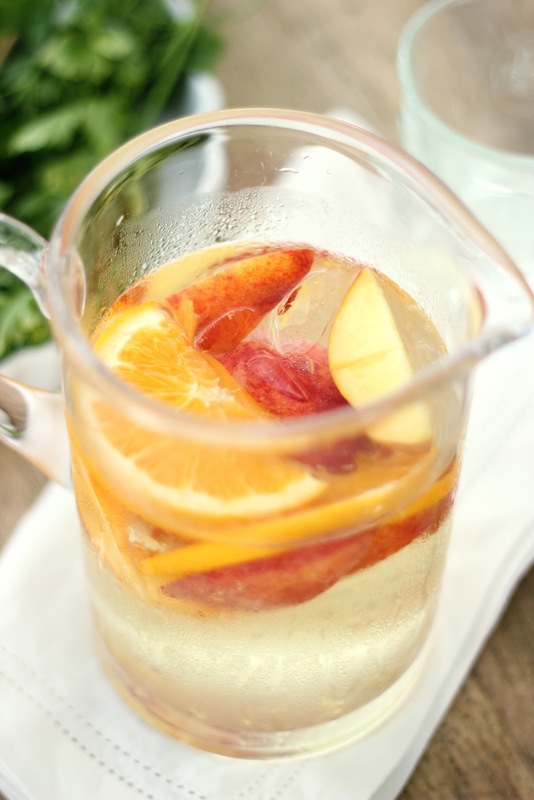 I can't think of a better (and easier) drink to make for a Summer party than White Peach Sangria. It is beautiful, easy to drink, refreshing, can easily be made in large quantities... and as potent as you want. Sounds perfect to me. If you're serving this at a celebration (or just a Saturday night...) try using half Proseco, an inexpensive Italian sparkling wine, for a little more festivity. 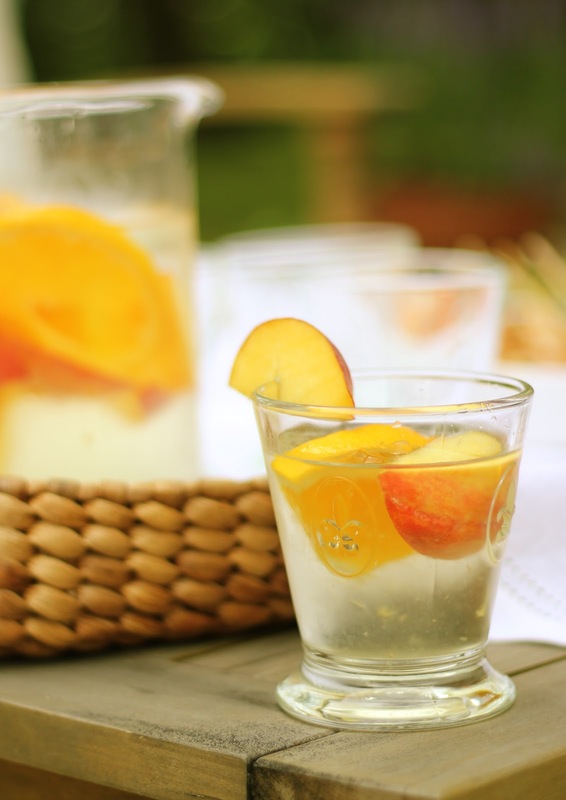 I served these at my Ladies Night Patio Party in my new rustic French Fleur de Lys glasses- I think they are the perfect casual, but elegant glass for sangria. In a large pitcher (or two) combine all of the ingredients, stirring until the sugar has dissolved. Serve chilled or with ice. For the complete menu and all of the recipes from my Ladies Night Patio Party, click here! Yum! Pinning this for the weekend! I love your blog! Is that your patio furniture? Where is it from? I am in the market and love it! Thanks! 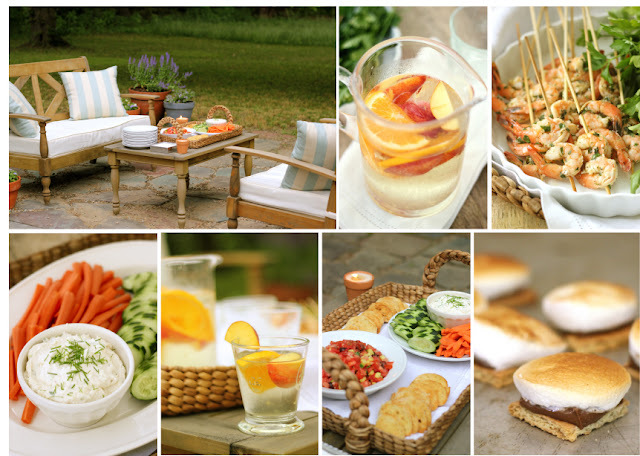 PIN this ...going to a party and will try the sangria and the bruschetta ! Thanks for giving more Summer Cocktail Recipes are very attractive and looking so delicious. Really everyone like these all recipes.